Looks like Apple has decided to put an end to the Reserve Strap, the Apple Watch bracelet that could prolong it's battery life using the hidden diagnostics port. 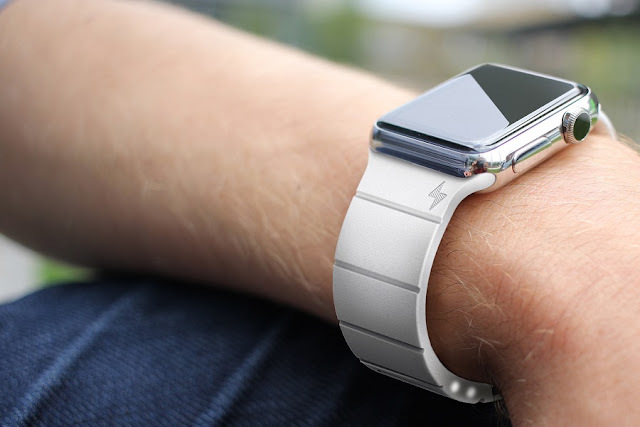 If you bought a Reserve Strap and were happily used to wearing your Apple Watch without battery concerns (it can add up to 150% battery life to your watch) I've got bad news for you. Should you update your Apple Watch to watchOS 2.0.1, you'll find your Reserve Strap no longer works as Apple has changed the way it verifies devices connected to the diagnostics port, just as it does on the lightning port. In fact, the same happened with lightning accessories. When the market got flooded with cheaper non-official lightning cables, Apple released iOS7 which caused most of them to stop working. However, it didn't take long for non-official cable to get back on track with newer "fake" validation chips that seem to bypass the new protection. In any case this is the sort of risk people will face whenever buying non-certified accessories for their Apple devices.